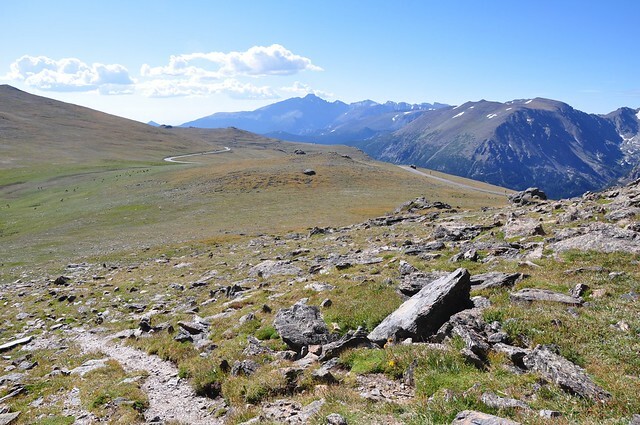 My youngest finally got her first taste of camping in Rocky Mountain National Park last weekend, and also her first ramble on the tundra (or rather a trail through protected tundra) up on top of Trail Ridge. 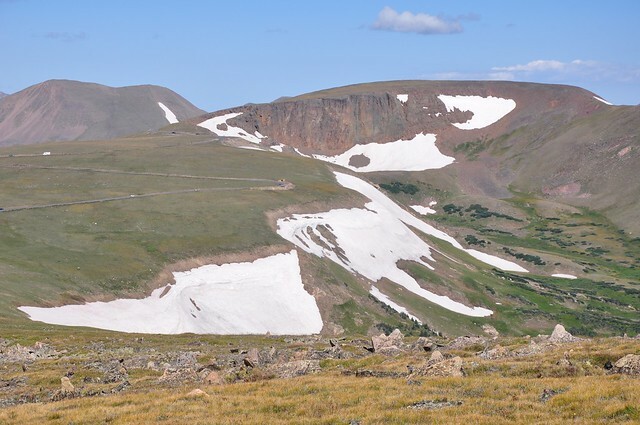 The Rock Cut parking lot on Trail Ridge Road (US-34) is at 12,110 feet, or just less than 3700 meters above sea level. There's a hint of the Moose in Bing's imagery, but not in Google's.